Finals week is upon St. Lawrence University. 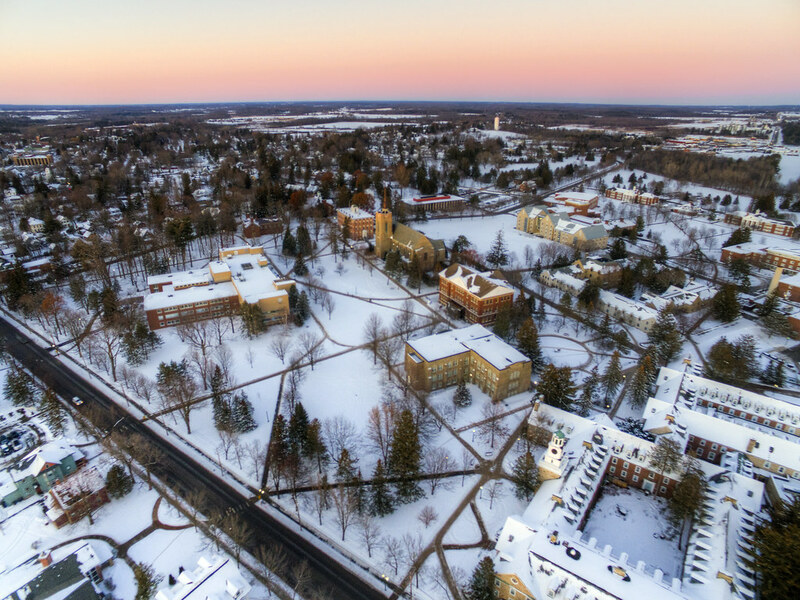 The campus is in full “winter mode”, blanketed with snow. The oddest thing about this time is its effect on the student population: a sharp partitioning between those who are finished, relaxed, preparing to leave and those who are tense, stressed, and trying to make it through. Like the dynamics of molecules in excited states, that latter group slowly relaxes to join the former.